Home » Health » What Is Craniosynostosis? Craniosynostosis is an abnormality in the skull that causes the baby's head shape to be abnormal or disproportionate. The disproportionate skull form of the skull can cause prolonged headaches, vision problems, and later physchological problems. The skull is not a single bone that stands alone, but a combination of seven different bone plates. The seven bones are connected to each other by a strong elastic tissue called sutura. The sutura allows the skull bone to expand following the growth of the brain volume. As time went by, the sutura grew harder and eventually closed, uniting the seven bone plates into a complete skull bone. An infant is said to have craniosynostosis if one or more suture tissues close faster than normal. As a result, the baby's brain can not develop with maximum because it is blocked by the skull bone. This condition is very dangerous because it can lead to the emergence of several disorders and abnormalities. Sagittal . This is the most common type of craniosynostosis . As the name implies, this disorder occurs in the sagittal suture , which extends from front to back of the upper skull ( fontanelles ). This disorder causes the head to grow elongated and slightly flat. Coronal . Coronal suture extends from the right and left ear to the top of the skull. Disturbances in this section can cause the shape of the forehead becomes unbalanced. The disturbed portion appears flat, while the undisturbed portion stands out. Metopic . Metopic suture extends from the nose through the midline of the forehead to the crown and connected to the sagittal suture at the top of the skull. This condition causes the forehead to form a triangle with the back of the head widened. Lambdoid . This condition occurs in lambdoid suture , which extends from right to left at the back of the skull. This causes the side of the baby's head to appear flat and the position of one ear is higher than the other ear. Lambdoid Craniosynostosis is very rare. The fontanelles on the top of the baby's head are not visible. The baby's skull shape looks strange (disproportionate). The appearance of ICP or increased pressure in the baby's skull. The baby's head does not develop as the age increases. Vomiting, spontaneous without the preceding feeling of nausea. Eyes are swollen or difficult to move. Sleep more often and seldom play. It's easier to cry than usual. The exact cause of craniosynostosis is not known for certain, but it is sometimes associated with genetic disorders. Based on its association with other genetic disorders, craniosynostosis is divided into two, namely nonsyndromic craniosynostosis and syndromic craniosynostosis . Nonsyndromic craniosynostosis is the most common type, the cause of which is unknown but is thought to be a combination of genetic and environmental factors. While syndromic craniosynostosis is associated with certain genetic syndromes, such as Apert syndrome, Pfeiffer syndrome, Crouzon syndrome, and much more. Physical examination . In this examination, the doctor will measure the baby's head, as well as feel the entire surface of the head to check the state of sutures and crown. Imaging test . This examination includes imaging with CT Scan, MRI, or head x-ray images. This test aims to see if there is a network of sutures that closes faster than normal. Laser scanning can also be done to get accurate skull head and skull size. Genetic testing . If suspected association with other genetic disorders, genetic testing can be done to identify the type of genetic disorder that causes it. 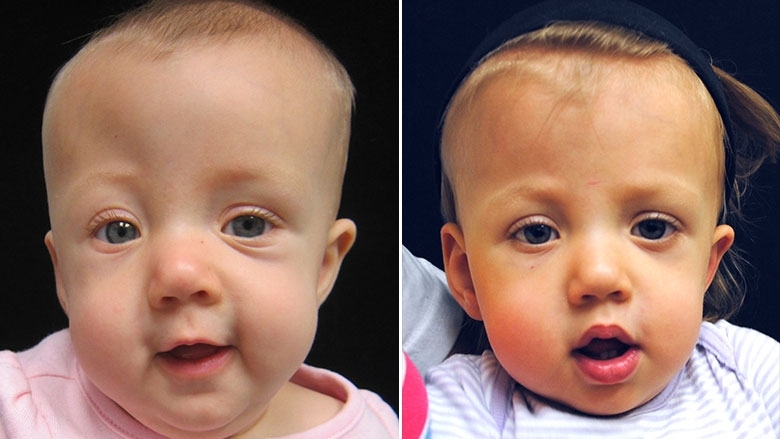 Craniosynostosis with mild or moderate severity does not require serious treatment. Doctors usually advise patients to use a special helmet that works to tidy up the skull shape and help the development of the brain. If craniosynostosis is severe, surgery should be performed to reduce and prevent brain pressure, allowing the brain to expand, as well as smoothing the skull's shape. Endoscopic surgery . This minimally invasive surgery is suitable for infants under six months, provided that only one suture is problematic. Through this operation, the problematic sutures will be opened so that the brain can develop normally. Open surgery . This type of surgery is performed for babies over six months, and not only to cope with problematic sutures, but also to improve the disproportionate skull bones. Postoperative surgical recovery period is longer than endoscopic surgery. Helmet therapy can be given to smooth the shape of the skull bone after endoscopic surgery, but in open surgery this therapy is not necessary. Severe craniosynostosis should not be left without treatment. If left untreated, in addition to causing disruption to the brain, can also cause deformity of the face. This can cause craniosynostosis sufferers to be embarrassed to blend in with the community. Patients with severe craniosynostosis are at increased risk of intracranial pressure. If left untreated, increased intracranial pressure may cause seizures, impaired eyeball movement, blindness, developmental delay, cognitive dysfunction, even death. 0 Response to "What Is Craniosynostosis?"